SLC Lighting International has now opened! We are an OEM ans Aftermarket Lighting store offering a wide variety of clearance markers, cab markers, back-up lights, headlights, and much more. We now have a retail store located at 101 Parker Drive Andover, OH 44003 Mon-Fri 8am-5pm EST or online at www.slclighting.com. SLC takes pride in our excellent Customer Service and are here to help with all your needs. 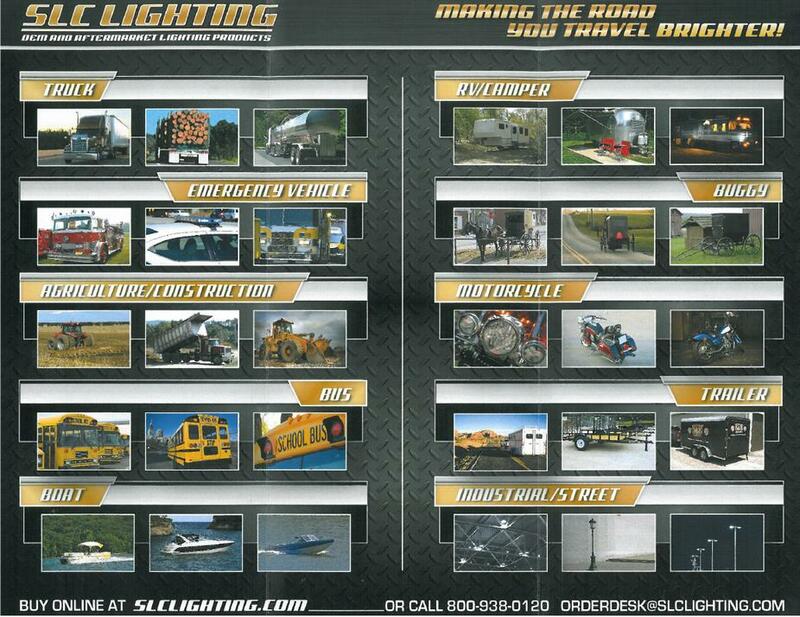 SLC is an authorized distributor for KD Lamp Co., GreenTech Lighting Solutions, and Retrax.